Located in the western suburbs of Australia's most famous and popular city, Fight Rite is one of Sydney's most successful. Fitness, Boxing, Kickboxing and Martial Arts gyms. Fight Rite is owned and operated by Kyoshi Rhett Junker. Rhett is one of Australia's most successful martial artists - he has been involved in martial arts and fitness for over 30 years. Rhett is accredited as a 7th degree Black Belt instructor with the World Karate Association, as well as a Level 7 instructor with the World Kickboxing Association. Rhett began training Zen Do Kai with founder Bob Jones and 25 years later is still a student and Chief Instructor for Zen Do Kai in NSW. 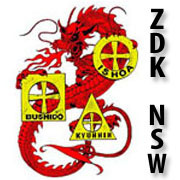 Bob Jones was first a notorious street fighter and changed the face of Australian Martial Arts by making Zen Do Kai - REAL. After starting Zen Do Kai, Bob Jones had all his instructors working as Bouncers and Bodyguards in his Global Security company. So his instructors were out every weekend actually putting to work the skills they were taught. The Fighting for Lives charity event will be run by Dai Sempai Chad Heard demonstrating and teaching effective real world techniques from Thai Boxing, Zen Do Kai and Kali Eskrima. The 2nd degree black belt in Zen Do Kai has been training with Rhett Junker for over 10 years, is skilled in the styles taught at Fight Rite, and has travelled internationally to advance his skillsets in the arts of Karate, Thai Boxing, Kali Eskrima, Krav Maga and Silat. For more information on Fight Rite Gym and Zen Do Kai check out.